Shimano use two different diameters tips for their more up to date rods, slim diameter (approx. 2.2mm) and Large Diameter (approx.3.6mm). They also give the option of three different guide sizes small, Normal and Large. The above codes can be found at the bottom of the quiver tip. Older rods, such as the Technium and the original Antares, Beastmaster, Catana, Nexave etc would have come have come with the Large diameter tips Super tips. Newer models tend to come with the slim diameter tips, although some of the heavier and extra heavy models will come with the Larger diameter tips. Forcemaster, forcemaster AX , Alivio AX feeder rods had their own individual quiver tips. All Daiwa QT tips listed are for the Older UK Built feeder rods. Examples of the rods these will fit are as follows,Original Tournament, Spectron M2, Spectron, Matchwinner Poewercurve, Matchwinner, TDR Competition, Porky Pig X, All Harrier models, all connoisseur models and many more. All tips are glass except for the 4oz which is carbon. The new Tournament (TNPF) and Airty (AF) rods uses the slim diameter carbon mega tip (MTQ). 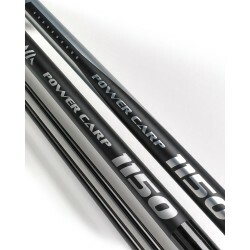 The Tournament Long Distance 13 and 14ft rods use there own large diameter carbon tips. Rods such as the SR3, Proteus, Theory, Team Daiwa, Sweepfire etc, all us their own individual quiver tips, if you require the availability on these tips, please contact us. The vast majority of Preston rods use the 3.5mm, these include the Carbon active mini series, mini series plus, C-Tech, Sentient and Absolute rods. Available in mixture of carbon and glass from 0.75oz up to 4oz. These tips will also fit the Dutchmaster method 11'8"and 12'8". 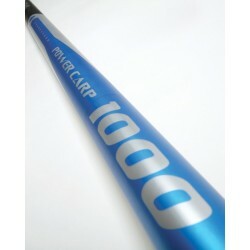 The carbon Active F1 range of rods uses its own slim diameter carbon tip. The super Sentient, Absolute super feeder and Dutchmaster 10'8" and 11'8" use a slim diameter (2.2mm) carbon tip . the Dutch master 12'8", 13'2", 13'8" and 14'2" use there own Dutchmaster tips. The vast majority of Drennan rods use the 3.5mm large diameter tips. Available in glass and carbon in slow and fast tapers. The exception to this are the New Acolyte feeder rods which use a slim diameter carbon tip. Matrix have two diameter tips, 2.7mmn and 3.2mm. The 2.7mm will fit the Horizon s class, Legend slim and carpmaster ranges. The 3.2m fit the Horizon and legend rods. If you are unsure as to which quiver tip will fit your rod, please contact us.